If you study the lives of the most successful people around you; these people without fail apply the principle of leverage and use it to maximum effect in their life. Without applying some kind of leverage there is no possibility of creating accelerated wealth. Bestselling author Praveen Kumar in this book explains how you can create massive wealth in quick time by simply understanding and mastering the principle of leverage. Correct application of leverage breaks through the barrier of 10% growth/ yield. With leverage we can grow at 50% or 60% and even 100% or more. On the other hand improper understanding and use of leverage can have reverse and disastrous effect on your wealth. *What are the various types of leverage? *What pre-cautions you should take when applying leverage? *How you can maximize your leverage? 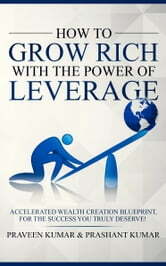 This book explains the fundamentals and empowers you to grow rich by using the power of leverage correctly. Grab a copy of this book at the introductory price before it gets revised. The book is definitely the "leverage" I needed to increase my wealth. 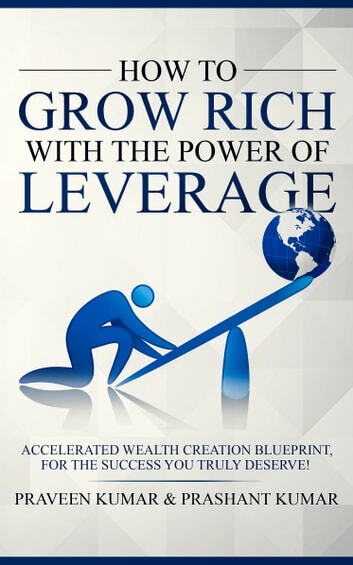 The author elaborates on how to get rich using the phenomenal power of leverage. Read for how your technological , financial and even knowledge resources work as leveraging tools to augment your wealth. A fantastic effort that teaches you all the DO's and DONT'S of leveraging to get fantastic returns on your investments. Follow the author's tactics on using the best of leveraging and get rich the smart way. A book to keep around to help you remember the important keys to creating accelerated wealth. There were a few grammatical errors but, the book was free. I found the book straight to the point with no BS. The wotds spoken were nuggets to my ears. This book those a real great job in teaching how, by using the power of leverage, you can grow your business ventures, the book is very well written and teaches the basics and some advanced tactics. I really like the part where the author explains what precautions someone should take before applying certain leverage tactics, I didn't know these things and I believe that it is fundamental to understand these principals.